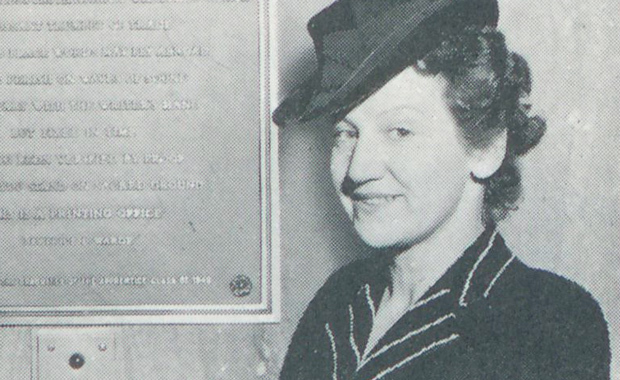 To honor the memory of Beatrice Warde as its first female member, Type Directors Club (TDC) is hosting a scholarship award competition for undergraduate female students. The TDC Beatrice Warde Scholarship is sponsored by the Type Directors Club and Monotype in the amount of $5,000. It will be awarded to a female student currently enrolled in her junior undergraduate year and will be applied directly to her senior year tuition, which begins September 2016 and concludes in May 2017. In addition to the scholarship award, the student will receive an one-year student membership in the TDC. The scholarship, based solely on merit, will be awarded to a student whose work demonstrates exceptional talent, sophistication, and skill in the use of typography. The criteria for the scholarship extends across disciplines from design criticism to type design and graphic design, since Beatrice Warde was a writer and educator who helped promote Monotype products. Just as Beatrice encouraged the best use of technology, the candidate’s work should demonstrate the application of typography to current media, not only print. The scholarship requirements include a statement and three samples of work accomplished while at school/university, and a grade point average of B or higher. To apply, submit this form and other application materials by Thursday, 11 February 2016 to director@tdc.org.